This perennial plant likes a well-drained alkaline soil. It grows best in full sun. Planting in early fall gives the roots time to set up. Mulch with a loose layer of straw or leaf compost before hard frost to stop roots from heaving. 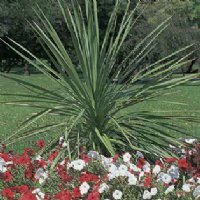 Divide plants in fall or late winter to early spring, before spring growth starts. Description: The Hyssop plant is a member of the mint family and is very easy to grow. It has a long bloom season: mid-summer to early fall. It has strong, upright stems that carry fragrant blooms that smell like licorice or bubblegum. The spiky flowers look like a bottlebrush. Hyssop plants grow from 2 to 5 ft. tall and spread from 2 to 3 ft. wide. Most types are heat and drought tolerant. Maintenance: Pull off any broken-down stems, but leave the seed heads for the birds. Pruning back Agastache in fall weakens the plant. 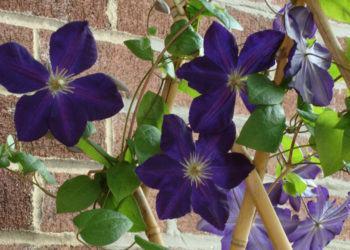 Cut the dead stems back in early spring to help with new growth. Uses: Herbal/Medicinal. The dried flowers of the Agastache plant can be made into a tea. Mixed with white horehound or licorice, the flowers of this perennial plant can be used to treat coughs. Crush the plant to release the natural anise smell that bugs hate. Wildlife/Garden Value: The nectar of the Agastache plant attracts both hummingbirds and butterflies. Pick the flowers after the birds and butterflies are done with them to make nice dried arrangements.